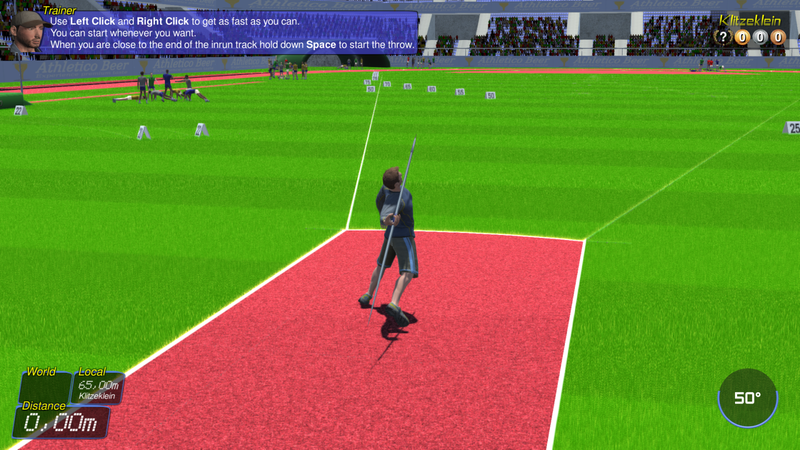 Are you ready to jump higher, run faster and throw farther? 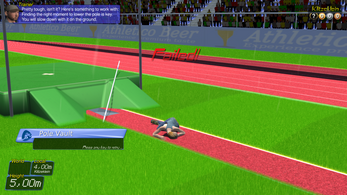 Athletico is the ultimate test of your agility and concentration featuring real (and funny) physics. Play all ten disciplines of a decathlon and beat not only your records but compete against the world. 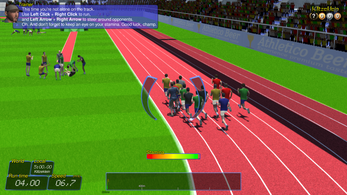 Athletico is a fast-paced coordination game. 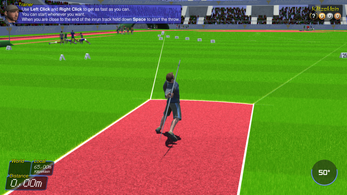 You will be challenged to show fast reactions, precise timing and mental endurance. 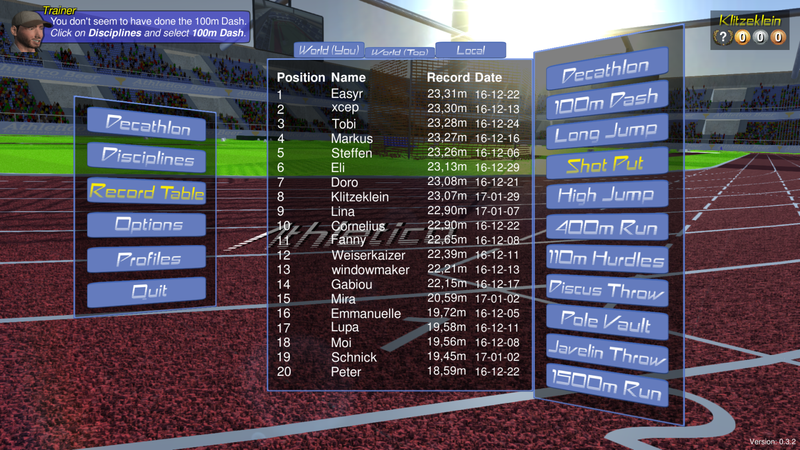 Measure your skills against others with online highscores and earn medals by beating tough records. 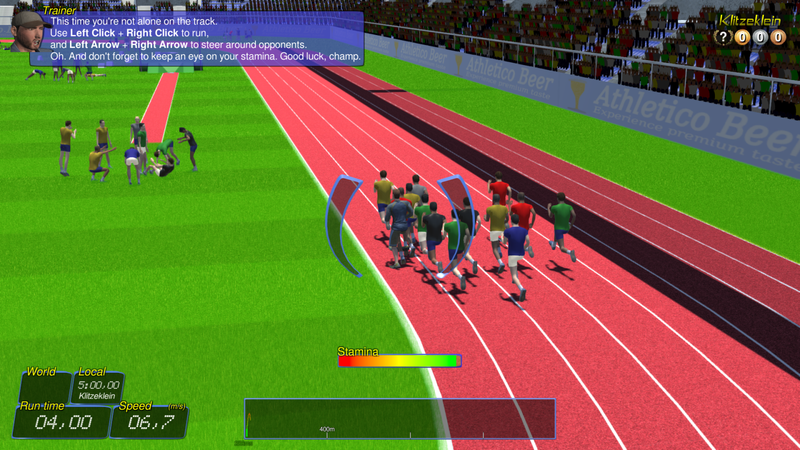 To help you learn the game and cheer you on we have implemented a personal trainer giving you useful hints where you should improve. 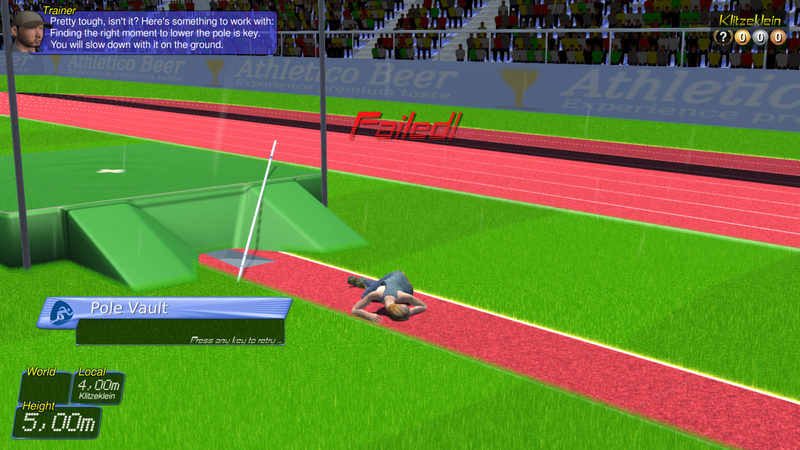 You may either play disciplines on their own or compete in decathlons, playing all disciplines in one go as an ultimate test of skills. Supported operating systems: Win 7 or higher. Ubuntu 16.04 or higher. We recommend a DirectX9-compatible graphics card, a dual-core processor, at least 512MB of RAM and 500MB of free HDD space. 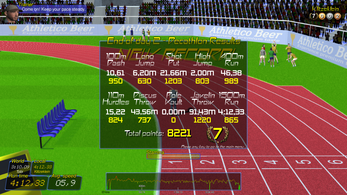 Athletico is playable with a combination of keyboard, mouse and gamepad. Athletico has been realized by Klitzeklein Arts. To report bugs, say hello or share your records with others please leave a comment below. We are happy to hear from you.